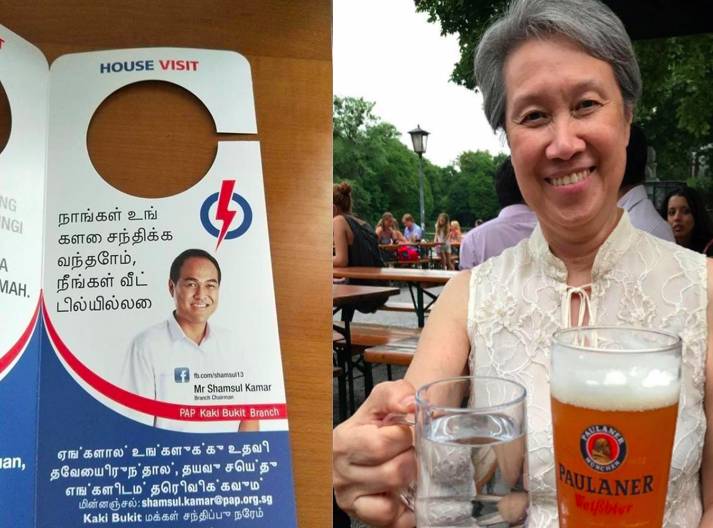 Following the Tamil errors on the door hangers given out by the People’s Action Party’s (PAP) non-elected Kaki Bukit branch chairman Shamsul Kamar, Chief Executive Officer (CEO) of Temasek Ho Ching has stepped in to offer her comments. 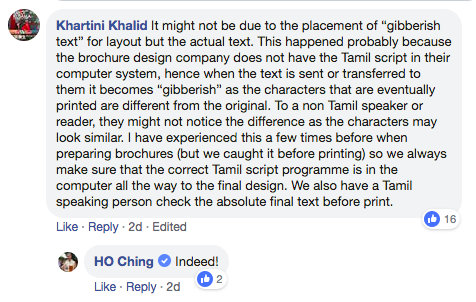 The brochures given out had seemed to use a computer programme to translate the Tamil language characters, which turned the message to gibberish. Shamsul has since apologised for the error and oversight in printing the brochure. Ho Ching, wife of Prime Minister Lee Hsien Loong, shared an article on her Facebook page and commented on the issue. 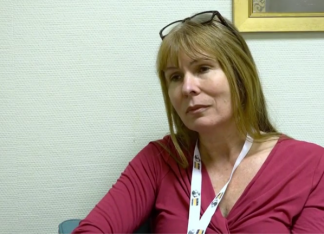 She, who rarely adds commentary to her many Facebook posts wrote, “This is interesting. Typically, when designers lay out artwork, they would insert a gibberish “text” to give a sense of overall look and feel. This is better than putting in actual text with meaning – gibberish is unlikely to be mistaken as final text”. She continued, “But what if the gibberish is in another language in a different script? That would be harder to spot the mistake”. Her suggestions were to ,“add a notation to indicate that the gibberish is still work in progress”. “For example, we could insert multiple square brackets at the start and end of the gibberish to show this needs to be finalised. Or we could highlight the gibberish within a pair of square brackets or double square brackets”, she said. 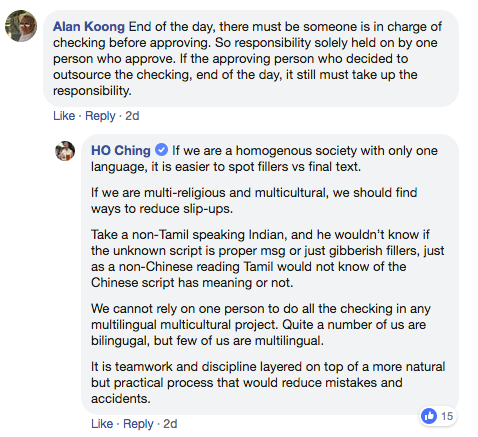 Netizens had much to say on the issue, and Ho Ching even replied to some in the comments.